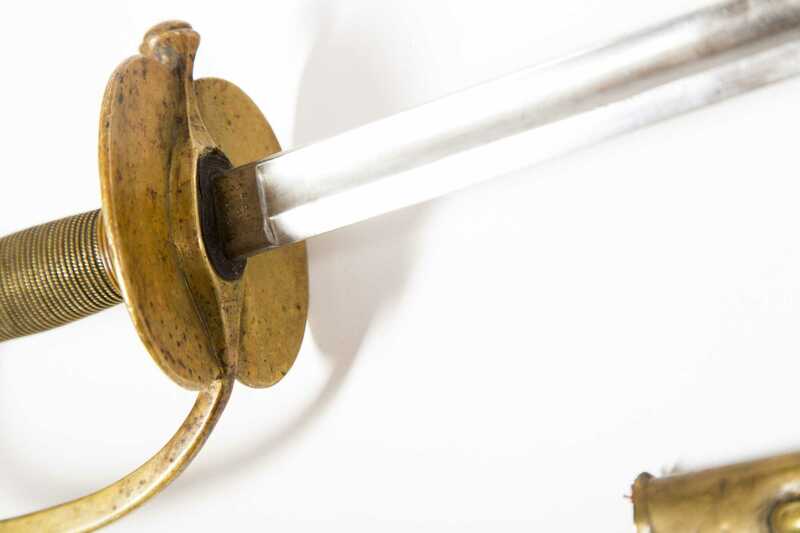 Ames U.S. Model 1840 Non-Commissioned Officer's Sword. Ricasso marked "Ames Mfg Co/Chicopee/Mass". 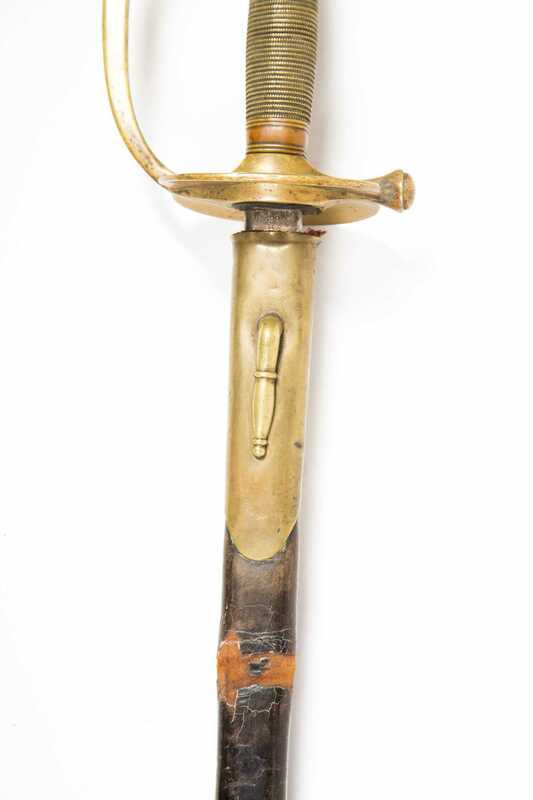 Standard Issue during the Civil War. 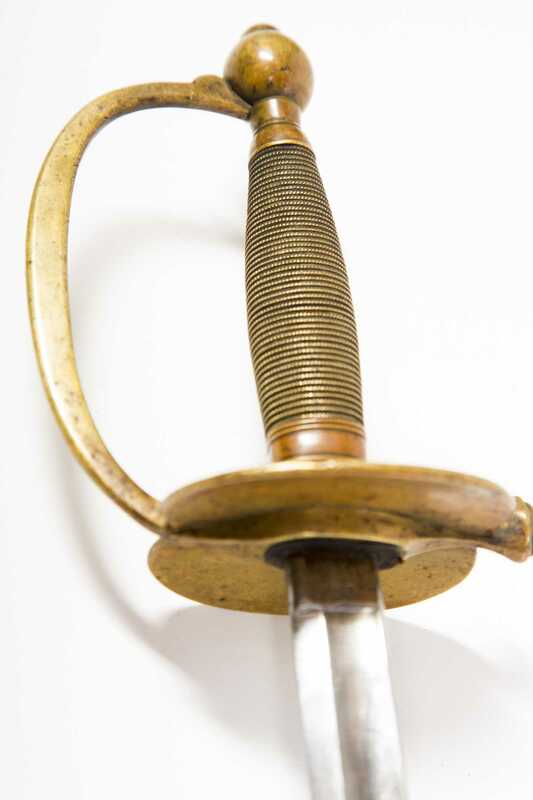 Brass hilt with wire wrapped grip. Single fuller blade with spear point. 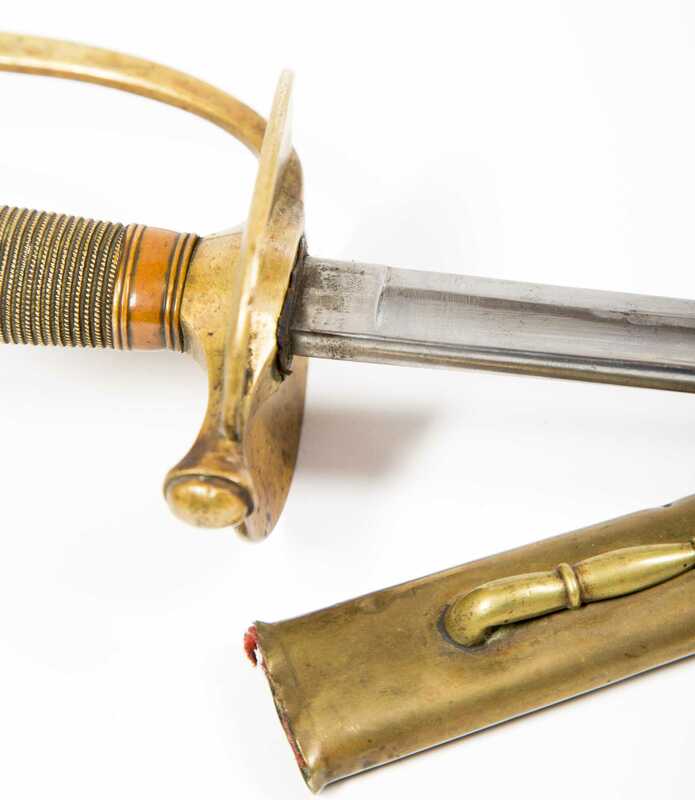 Brass and leather scabbard missing bottom one-third. Blade Ln: 33". Loa: 39".